I’m probably the best procrastinator in the world. I could have procrastinated for England… if I got round to it and didn’t keep getting distracted by other stuff. But, it made me sad sometimes that everyone else got stuff done and I didn’t, so I asked my psychologist friend, Dr Anita Sanz, for some tips on how to stop procrastinating. She told me that there are three things that productive people do that procrastinators don’t, and they all involve looking at things differently. I also made a few changes – tough but necessary changes – to cut out the distractions that were making it hard for me to stop procrastinating. Dr Anita Sanz is a psychologist, with twenty-five years experience treating depression and eating disorders. You know you have to get things done. That’s not what the problem is. If just telling yourself “I have to do this” was enough you wouldn’t procrastinate. You already know that “Just Do It!” doesn’t work. In fact, you might have noticed that it often leads to even more stalling. That’s because, knowing you have to do something and actually doing it are two very different things. The answer is, because we don’t like to be told what we have to do. Even by our own decisive, bossy selves! Once you realise you have the power to choose, you’ll be less likely to procrastinate, because you’ll be the one making the important decisions in your life. And the thing is, you do have the power to choose. Unless someone’s holding a gun to your head, you don’t have to do anything. You don’t have to get that project started. You don’t have to pay your taxes. You don’t have to clean up the kitchen before heading for bed. What you need to acknowledge though, is that you are always choosing – if you don’t choose to do something then you are choosing to avoid it… and that has consequences. So, instead of rebelling and refusing to do something, consider whether you choose to take action or you choose the consequences. It’s your choice, and you are in charge. Procrastinators are almost always perfectionists in disguise. Perfectionism causes paralysis, because when the perfectionist thinks about a project, the next thought they have is how good it must be. This is outcome-focused thinking – worrying about what others will think about the project, instead of focusing on the first step in making the project happen. Instead, it’s better to use process-focused thinking – committing to doing the best that you can, deciding to engage in the process. 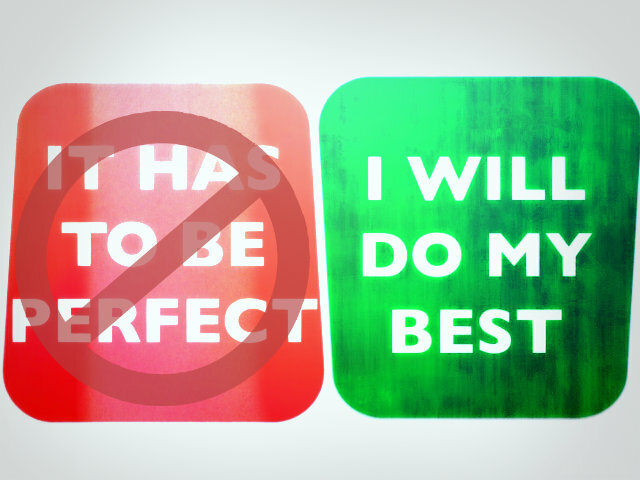 If you chose to just do the best you can, then you reduce the paralysis that comes with perfectionism. Instead, you are free to simply begin taking the steps that, one by one, will get you to the end of the process. And the good news is, there’s a correlation between those who engage without anxiety in the creative process and those who feel happy with their achievements. There’s no guarantee that just because you do your best, you’ll get that good mark, promotion, or public acclaim that you want. But you’ll have something to show for your work… unlike the person who never gets started. You’ll sleep easier, knowing you tried. Many people who procrastinate say they can’t get started on a project because they “don’t have enough time” or they’re “too busy”. There’s a myth in their heads that one day everything will come together: time, energy, caffeine-intake, adrenaline-fueled deadline fear… and then they’ll “get it done.” They’ve arbitrarily decided they need everything to be perfect before they can get their masterpiece completed. Sorry, but it’s time to grow up and forget that fantasy – come back to the real world, and learn the power of working in small bursts. We brush our teeth a few minutes in the morning and a few minutes at night, not for an entire day the day before we have our dental checkup. At least, I hope that’s how you’re doing it! Instead, become flexible. Learn to jot down ideas on your phone. Write out a paragraph on the back of a magazine while waiting for an appointment. Brainstorm or outline drafts between clients. I call these micro-movements, because you are moving forward a bit at a time. As well as seizing those opportunities, schedule short bursts of time to work on your project. Whatever gets done in that burst is great – congratulate yourself! Again, engage in the process, not the outcome. And note that planning, organizing, and brainstorming counts. If you schedule twenty minutes every morning to work on your story, and you spend those twenty minutes thinking about how your main character would eat a sandwich, that counts, even if you don’t write a word. Even ten minutes on your project is better than nothing. So that’s the most important factor: changing the way we look at things. 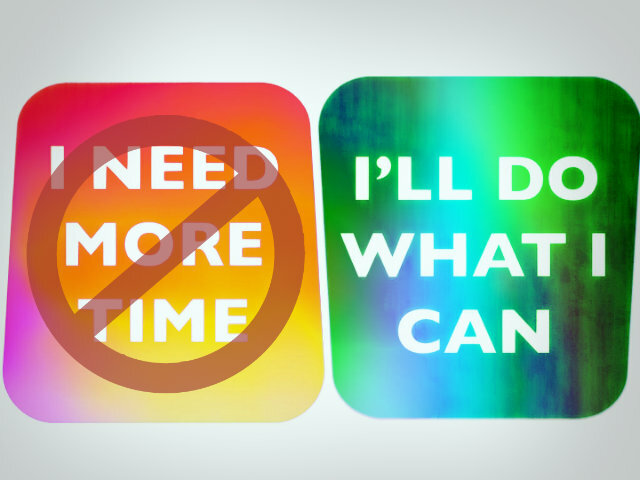 Now I’m going to suggest a few practical things we can do to help us stop procrastinating. OK, this is an easy one in theory, but can be hard in practice: just don’t have a TV. That doesn’t mean you never watch anything ever again. All the good programmes (and most of the bad ones) are available on catchup services like BBC iPlayer and NetFlix. If you like movies, then DVD’s are great, and going to the cinema is even better. Sports are usually on in bars or you can go and see them live. Personally, I don’t miss having a TV. One thing some people who want to stop procrastinating do is downgrade to a basic phone that doesn’t distract them. But there are things that smartphones do that are hard to manage without, such as cameras, maps and travel planners. So, the main thing is to delete any games and social media apps from the phone, and turn off distracting push notifications. It isn’t possible to prevent iPhone internet access. So there might be a temptation to access social media via the browser. One way to avoid this is use a single sign-on password manager such as LastPass then set all your passwords to random twelve-character strings you can’t remember. This will also boost your online security! Believe me, after a couple of days withdrawal, it’s actually a relief not to be checking your phone every few minutes. There are browser plugins that can block internet access, either entirely, for specific time periods, or for specific sites. The only problem with them is they can be turned off again all too easily. Parental Controls can block access to websites and games, but they’re an all or nothing solution. I don’t want to never be able to use Twitter ever again, I want to not be tempted to check it every few minutes when I’m working. 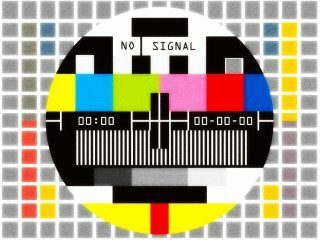 What we need is a solution that blocks access to addictive websites and games for most of the day, can’t be turned off, and lets us check them once we have our work for the day completed. After a long search, I found some apps that do exactly that: Focus, for Mac, and Cold Turkey for Windows. Focus for Mac is available here. Cold Turkey is available here. 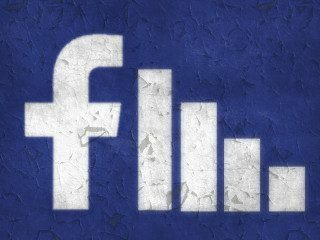 I set a schedule where social media websites and games are blocked from 9am to 8pm. Again, it’s a relief not to be tempted when I’m working. OK, we are into really drastic solutions now, for the die-hard procrastinating writer. Cold Turkey Writer is a Windows/Mac app that completely blocks access to everything on your computer except a basic, full screen word processor. Cold Turkey Writer is available here. WriteOrDie is an app that pressures you to write. In ‘Kamikaze Mode’, once you start writing, if you stop for too long it starts deleting what you’ve already written. Clearly these apps aren’t for everyone, but they’re interesting to experiment with, and it’s surprising what your brain can come up with under pressure! 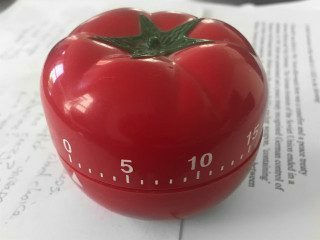 The Pomodoro Technique is a great way to stop procrastinating. It is a timer-based system to encourage you to work in focused bursts with regular breaks. I find it very effective. See The Pomodoro Technique for Writers for more details. No one wants to procrastinate. It’s not enjoyable to have a deadline hanging over your head, and making excuses feels bad. So, if you want to stop procrastinating, how you think about things can make all the difference. 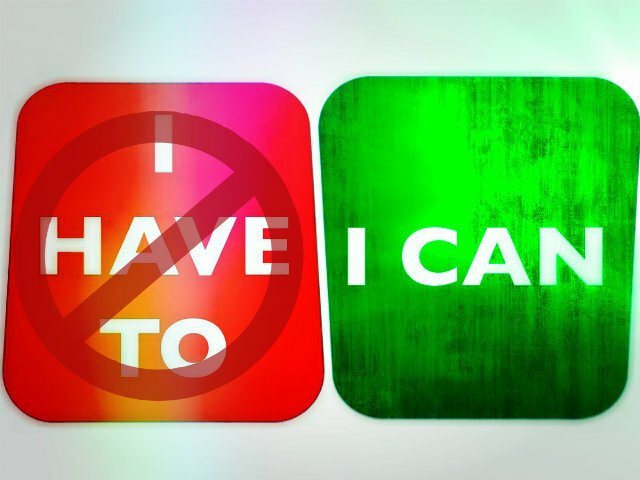 You don’t have to do anything, but you can do things if you want, it’s your choice. Forget perfection, just do the best you can. Reduce addictive activities: Television, Mobile Phones, Social Media and Games. If you need help cutting down, invest in website and game blocking software. Despite by nature being a professional-level procrastinator, I’ve written two novels, including A Kill in the Morning which was commercially published, dozens of short stories and all the articles on this website, so I know it’s possible to stop procrastinating! You can read the first two chapters of A Kill in the Morning here. Anita’s guide to making healthy improvements to your life without becoming overwhelmed, A Year to Change, is available on Amazon US: here and Amazon UK: here. Her website is: http://www.sanzplans.com. If you’d like to discuss any of the issues related to trying to stop procrastinating please email me. Otherwise, feel free to share the article using the buttons below.